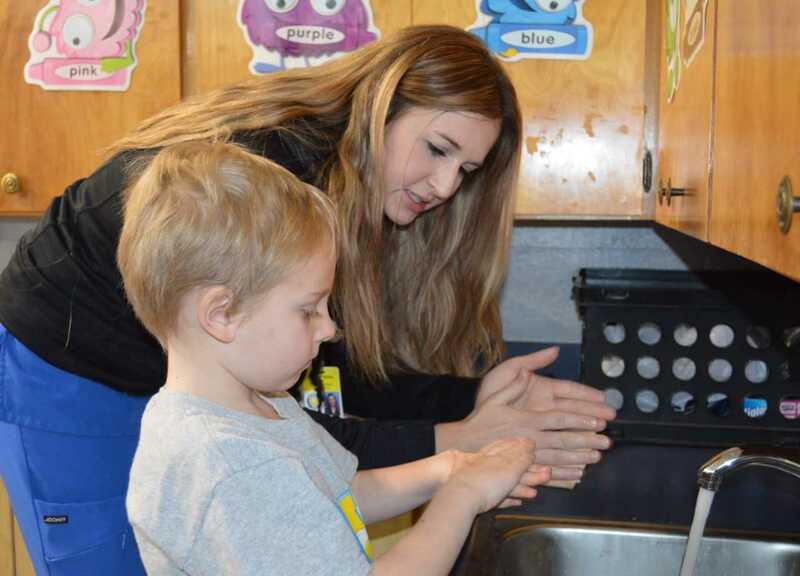 Nursing students from Pioneer Technology visited Woodlands Elementary to lead hand-washing clinics in all classes. Students were taught best hand-washing techniques to prevent the spread of germs and disease. Students took turns practicing as the nurses coached them through the process. They even learned a catchy hand-washing song. 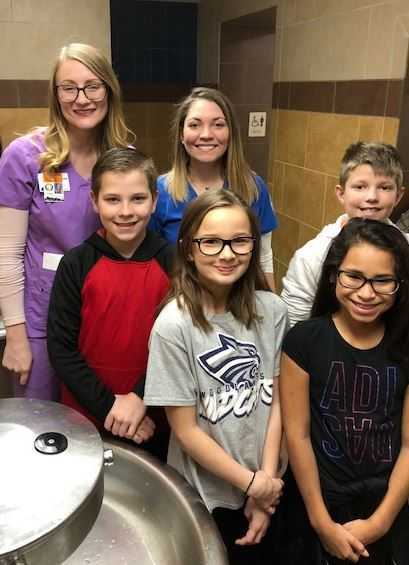 Jennifer Delaney (Nursing Instructor & Woodlands Mom), Caitlin Moore (Nursing Student), 5th Graders Logan Ross, Addison Diedrich, Blake Austin, & Haley Maples.